Women and the Establishment Heart Mammograms: But do Mammograms Heart Women? 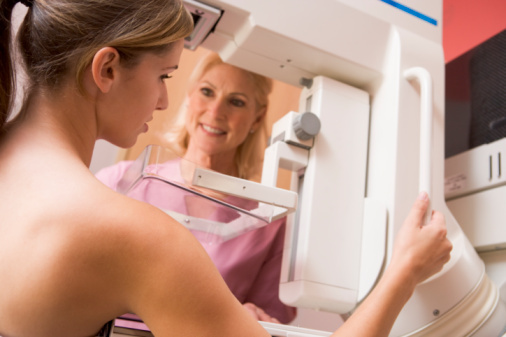 Mammograms have iconic status in terms of women’s health. The so-called Affordable Care Act in the U.S. mandates that mammogram screening for breast cancer has to be provided for ‘free,’ that is without insurance co-pay. However, the absolute benefits of screening mammogram have been questioned for some time. No woman wants breast cancer, and nearly everyone knows someone who has dealt with breast cancer. Prostate cancer screening in men has had a similar story. This latest breast cancer study published in the British Medical Journal randomized almost 90,000 Canadian women ages 40-59 and studied them for a quarter of a century. This study concluded that screening women with yearly mammogram did not reduce death rates beyond that of physical examination or usual care when adjurant therapy for breast cancer is available. The authors estimated that 22 percent of mammograms detected invasive breast cancers that were overdiagnosed. This study has sent tsunami waves through the pink ribbon women’s health field. Some are claiming biased results based on using ‘old mammogram technology’ which seems curious to me as with better equipment would, if anything, would lead to a higher detection rate leading to overdiagnosis and potentially increasing unnecessary harm to women with overtreatment. The study did show that women with smaller tumors under 2cm had a higher survival rate than women whose tumors were larger than 2cm. Certainly, mammography usually picks up tumors smaller than those found by palpation or physical exam. That being said, the biologic propensity of tumors to be lethal are dependent on other genetic characteristics besides size alone. Some other studies have suggested modest survival benefits for women screened with mammography every two years between the ages of 50-79 (Most recent recommendation, 2015). The one thing that is for sure, is that very few things if anything, are ever completely settled in science, art or love. It is important to realize that any one study is a piece of the puzzle and not the entire picture. There have been puzzle pieces suggesting for some time that the zealous faith placed in mammograms has been exaggerated. The American College of OB-GYN (ACOG) recommends yearly, starting at age 40. The United States Preventive Services Task Force (USPSTF) advises every 2 years, starting at age 50. The American Cancer Society (ACS) recommends starting at age 45. The ACS recommends starting screening every other year at age 55. However, the U.S. Preventive Task Force has indicated they will be re-evaluating, and thoughtful experts on both sides have weighed in. 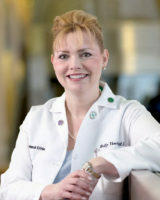 In 2009, the U.S. Preventive Task Force recommended that annual mammography be reduced to every two years setting off a firestorm response from women and some doctors, particularly those in the fields of breast imaging and breast surgery complaining that reducing mammography would reduce women’s access to a life-saving procedure. This was updated again in 2015. Other women, who are of average risk, may still want to choose the most intensive screening, but need to be informed about the risks ofoverdiagnosis and overtreatment of breast cancer. Other women may choose to forego annual mammography in place of every two year mammography after age 50 or now even age 60. There may be some women who refuse mammography all together. In the past, I weighed in heavily and badgered my patients who refused mammography to get their yearly mammogram. Now, with accumulating research, I realize that refusing mammography should be their choice just as women who want annual mammography should certainly have that choice, too. Empowering women with unbiased information and individualizing care, while being open to reviewing the scientific literature and encouraging more research and innovation, makes the best combination of living our Speaking of Women’s Health motto…. Be Healthy. Be Strong. Be in Charge!